Our product range includes a wide range of kids butter fly girl red, kids cloud kids nature costume, kids mazanta flower fancy dress costume, kids moon fancy dress, kids pink double shade flower costume and kids pink flower fancy dress costume. Red Butterfly dress includes red colour frock with a butterfly wings and hairband. 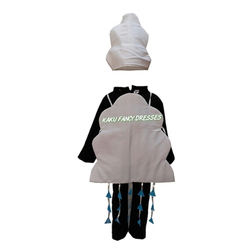 Clould/Rain fancy dress Costume is very fine .it's includes cutout,jumpsuit cap.Its easy to wear and carry. It is free in size. It is used by both boys and girls. Clould/Rain fancy dress Costume is very fine. It's includes cutout,jumpsuit cap.Its easy to wear and carry. It is free in size. It is used by both boys and girls. Mazanta flower dress is easy to wear and lite in weight. 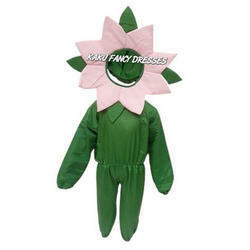 It includes green jumpsuit and flower shape cut out for its headgear. This costume used by both boy and girl. ​It is free in size. Mazanta flower dress is easy to wear and lite in weight. 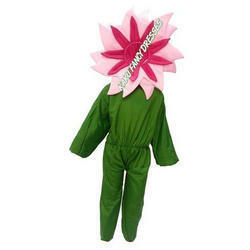 It includes green jumpsuit and flower shape cut out for its headgear. This costume used by both boy and girl. It is free in size. Moon costume is looks like a Shinning moon in a shinny fabric. 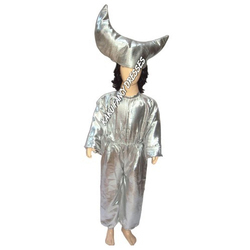 Its easy to wear and includes white silver jumsuit and a headgear in moon shape. Pink Double Colour flower dress is easy to wear and lite in weight. 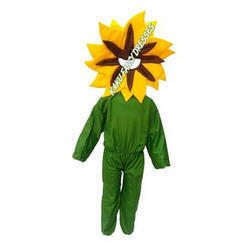 It includes green jumsuit and flower shape cutout for its headgear. This costume used by both boys/girls. It is free in size it is in double colour combinatuin of Pink/Mazanta. Pink Double Colour flower dress is easy to wear and lite in weight. 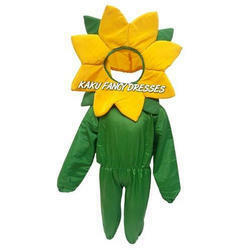 It includes green jumsuit and flower shape cutout for its headgear. This costume used by both boys/girls. It is free in size it is in double colour combinatuin of Pink/Mazanta. Pink flower dress is easy to wear and lite in weight. 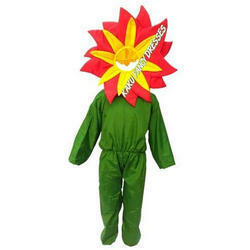 It includes green jumsuit and flower shape cutout for its headgear. This costume used by both Boys/Girls.It is free in size. Pink flower dress is easy to wear and lite in weight. This costume used by both BOY/GIRL.It is free in size. 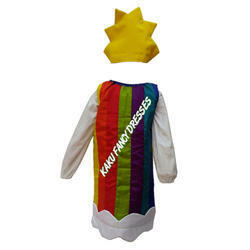 Rainbow fancy dress Costume is used by both boys/girls. It is well designe made costume.it's includes cap,cutout,jumpsuit.Its easy to wear and carry. It is free in size. Rainbow fancy dress Costume is used by both boys/girls. It is well designe made costume.it's includes cap, cutout, jumpsuit. Its easy to wear and carry. It is free in size. 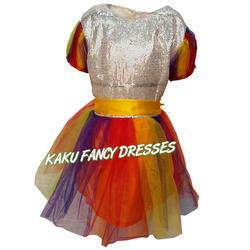 Rainbow frock for girl is very preety gives the effect of rainbow colours in its sleeves and in lower waist. It makes your child beautiful .It includes frock in rainbow colours. Rainbow frock for girl is very preety gives the effect of rainbow colours in its sleeves and in lower waist. It makes your child beautiful. It includes frock in rainbow colours. Red Double colour Flower Fancy Dress is easy to wear & lite in weight, It includes green jumsuit & flower shape cutout for its headgear. This costume is used by both boys/girl .It is free in size it is in double colour combination of Red/yellow. 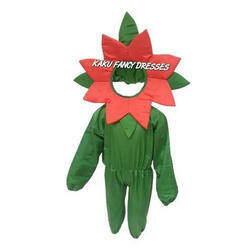 Red Double colour Flower Fancy Dress is easy to wear lite in weight. 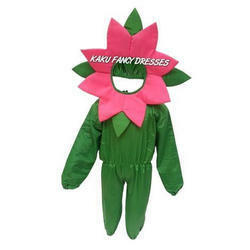 It includes green jumsuit flower shape cutout for its headgear. This costume used y both boys/girl. It is free in size it is in double colour combination of Red/yellow. Red Flower dress is easy to wear and lite in weight. It includes green jumpsuit and flower shape cutout in shinny for headgear. This costume used for both boy as well as girl. Star costume is looks like a shinning star in a shinny fabric. Its easy to wear and includes white silver jumsuit and a headgear in star shape.It is uesd for both Boys/girls. It is free in size. Star costume is looks like a shinning star in a shinny fabric. 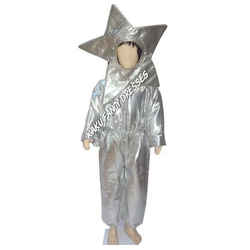 Its easy to wear and includes white silver jumsuit and a headgear in star shape. It is uesd for both BOYS/GIRLS. It is free in size. Sun costume is looks like a bright sun in a shinny fabric. 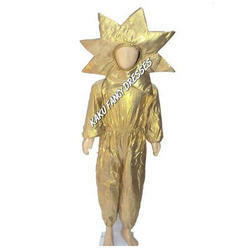 Its easy to wear and includes yellow golden jumsuit and a headgear in sun shape.It is uesd for both Boys/Girls. It is free in size. Sun costume is looks like a bright sun in a shinny fabric. 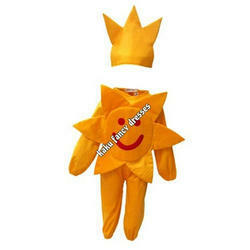 Its easy to wear and includes yellow golden jumsuit and a headgear in sun shape. It is uesd for both BOYS/ GIRLS. It is free in size. Tree dress is easy to wear and lite in weight. 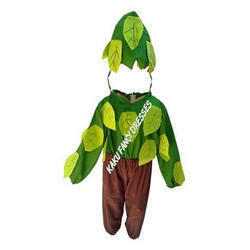 It includes green and brown colour jumsuit, cap and a layer of leaves. Water/Drop fancy dress Costume is very smart design made.it's includes cutout,jumpsuit and head band of drop.Its easy to wear and carry. It is free in size.It is used by both boys and girls. 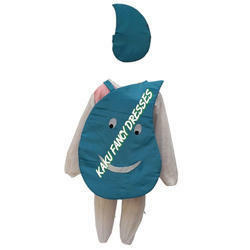 Water/Drop fancy dress Costume is very smart design made. It's includes cutout,jumpsuit and head band of drop.Its easy to wear and carry. It is used by both boys and girls. Yellow Double Color Flower dress is easy to wear and lite in weight. It includes green fancy dress and flower shape cutout for its headgear. This costume used by both boys/girls. It is free in size it is in double colour combination. Flower dress is easy to wear and lite in weight. It includes green fancy dress and flower shape cutout for its headgear. It is free in size it is in double colour combination. Yellow flower dress is easy to wear and lite in weight. It includes green jumpsuit and flower shape cutout in shinny for headgear. This costume used for both boy as well as girl. Yellow flower dress is easy to wear and lite in weight. It includes green jumpsuit and flower shape cutout in shinny for headgear. This costume used for both boy as well as girl.